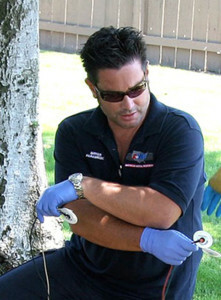 Bryan Stow was a first responder, a paramedic who saved many lives in the San Francisco Bay Area. 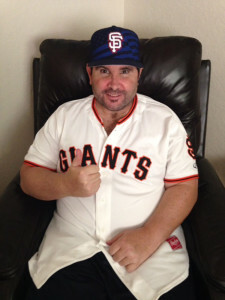 A Santa Cruz local and father of two, he grew up enjoying his life at the beach, going to countless rock concerts, spending time with his family, and supporting his favorite baseball team, the San Francisco Giants. On March 31, 2011, Bryan was brutally assaulted by two men at a Los Angeles Dodgers baseball game on opening day. The attackers nearly took his life. Fortunately, Bryan survived, but was left with many disabilities. After spending months in a coma with artificial life support and in a bed-bound state, Bryan’s muscles deteriorated leaving him weak, rigid, and wheelchair-bound. With extensive rehabilitation from Physical Therapy, Occupational Therapy, and Speech Therapy, he regained his ability to speak, read, write, eat, stand and take care of his basic needs. After multiple hospitalizations, numerous surgeries and countless hours of outpatient therapy, Bryan was finally able to move home with his family and work on his functional independence. He still requires caregivers during the day to help with his mobility and rehab needs but continues to make progress in his recovery. Bryan currently goes to the gym several days per week where he does weight training, rides an elliptical bike, walks with a cane and swims 1/4 mile. He can now ride in a regular SUV without being confined to a wheelchair. While Bryan was an inpatient at Good Samaritan Hospital’s Acute Rehab Program in Los Gatos, CA, he met Brandy Dickinson, a Speech Language Pathologist who took him on community outings to a local after-school care program to practice using his newly learned cognitive linguistic and mobility skills. He taught kids about first responders, how to dial 911, and what justifies an emergency. Invited back for more presentations, Bryan came up with various topics to discuss including introducing his rehab team and talking about each disciplines’ contribution to his recovery. During his presentations, Bryan had to be prepared to answer the question, “What happened to you?” using an appropriate response to an audience of children. Together with Brandy, they decided upon “I got hurt by adult bullies” which led Bryan to use his story to bring awareness of what happens when bullying behavior continues into adulthood. Bryan Stow is now on a mission to teach kids everywhere how to live kinder lives as well as help empower a change in attitude for kids with bullying tendencies. 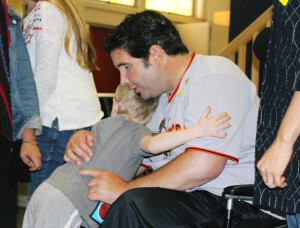 With help from his family and friends, Bryan Stow has started this foundation and plans to reach out to as many schools and organizations as possible with his anti-bullying and stopping fan violence presentations using his own personal story to stop bullying behavior before it reaches adulthood. Schedule a presentation with Bryan today.